Inspired by the comment left by Lis yesterday, the next TTS to consider at is NaturalReader. 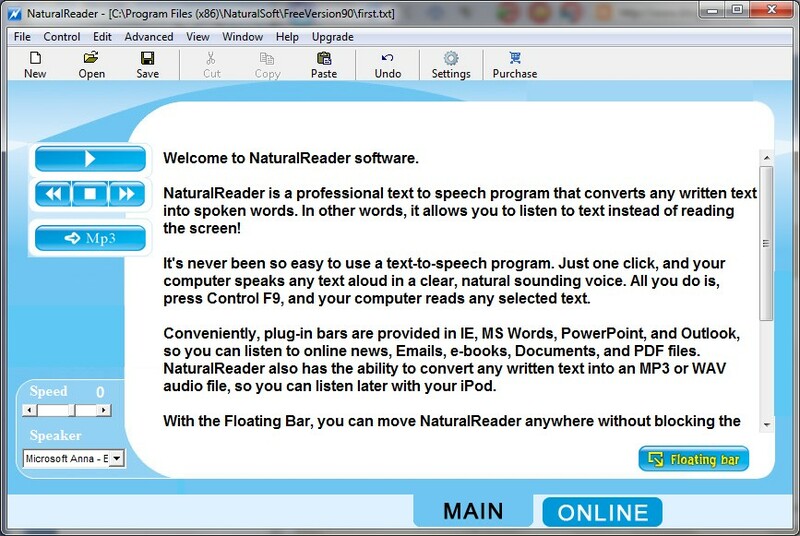 This is free software which comes in two versions: cut and paste or a Floating Bar (see bottom left of the image above). 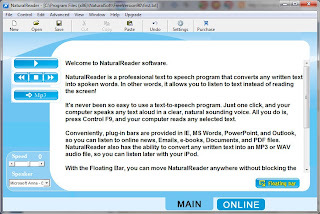 It is downloadable free, and uses free microsoft voice. If you want higher functionality, such as saving files as audio, you need to pay for it. The current best text to speech software is Text Speaker. It has customizable pronunciation, reads anything on your screen, and it even has talking reminders. The bundled voices are well priced and sound very human. Easily converts blogs, email, e-books, and more to MP3 or for listening instantly.